The series SOCIAL SCIENCE SUCCESS is a set of three books for students of Classes 6 to 8. It is strictly according to the latest National Curriculum Framework (NCF) meant for schools affiliated to CBSE and other schools affiliated to various State Education Boards. 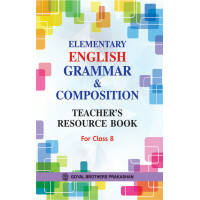 Each Course book in the series is supplemented with ONLINE SUPPORT, TEACHER’S RESOURCE BOOK and E-BOOK for teachers. Each book in the series is divided into three sections — HISTORY, GEOGRAPHY & SOCIAL AND POLITICAL LIFE. Our attempt, in this series, is to capture the interest and arouse genuine curiosity in the learners through presentation of facts and concepts in simple and lucid style, infused with numerous original illustrations and photographs. Captivating photographs, illustrations and maps. CASE STUDY : Gives an in-depth analysis of the subject matter. DID YOU KNOW : Gives interesting information related to the subject matter. POINTS TO REMEMBER : Summarises important points in the lesson for easy recapitulation. GLOSSARY : Gives difficult words and their meanings. TIME TO LEARN : Various types of Assignments for Summative Assessment. TIME TO DO : Various types of Assignments for Formative Assessment. LIFE SKILLS : Includes activities and themes to help children lead a productive and fruitful life. Different types of photos, illustrations, and diagrams to help in various tasks for Formative Assessment. Various types of downloadable / printable maps. Definition and explanation of various terms in Social Sciences. The Blue Planet Environmental Studies Teachers Book 4..